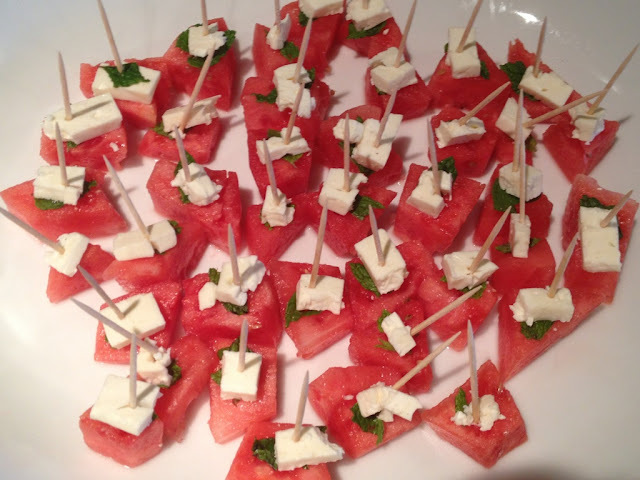 This is the easiest and most refreshing appetizer to make. 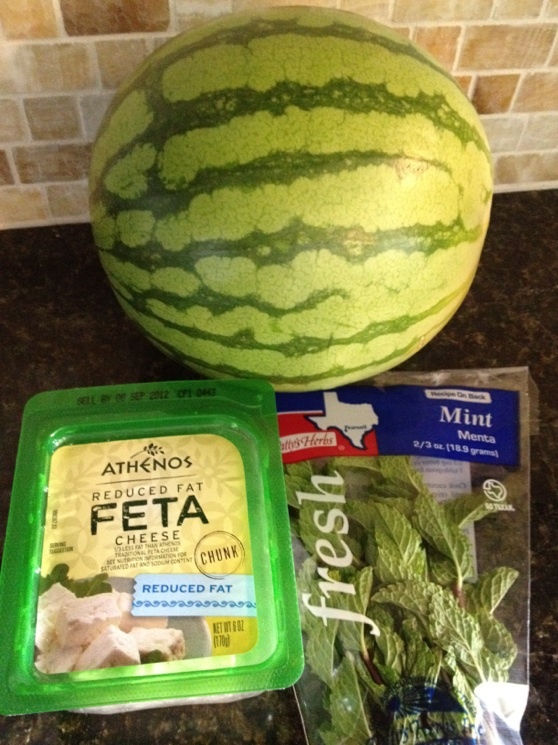 This would be great for a summer BBQ or if you need something to throw together in minutes! 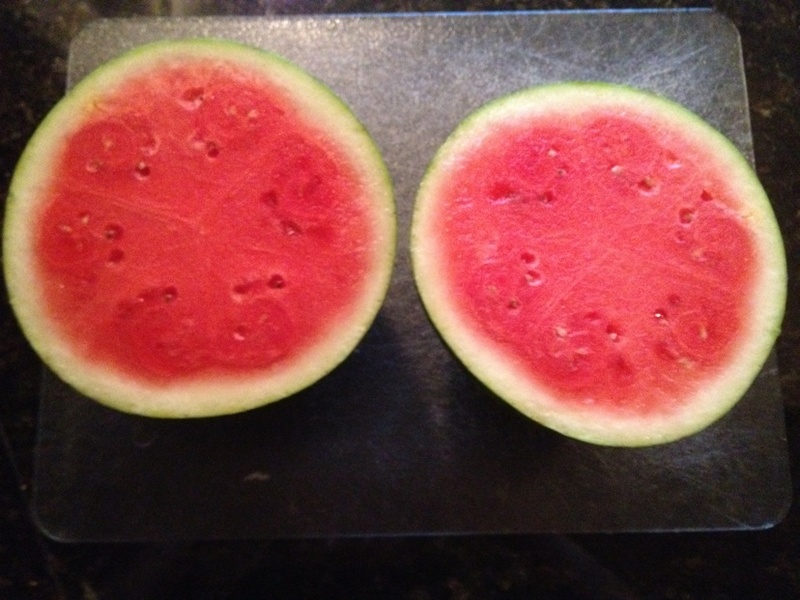 Slice your watermelon in half lengthwise. Then slice into quarters. 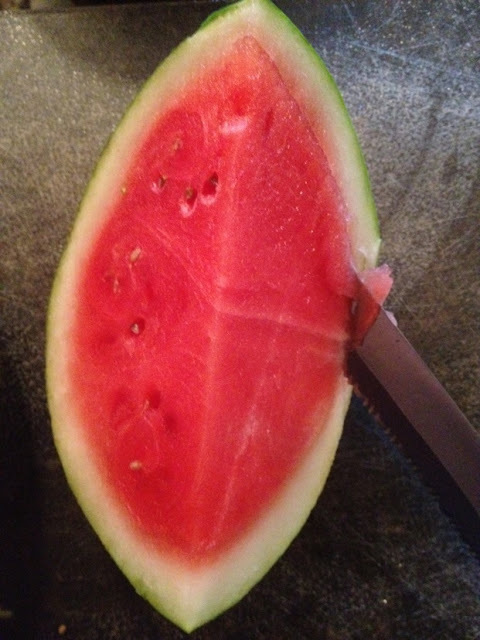 Using a sharp pairing knife, remove the watermelon from the skin. Cut your watermelon into cubes. 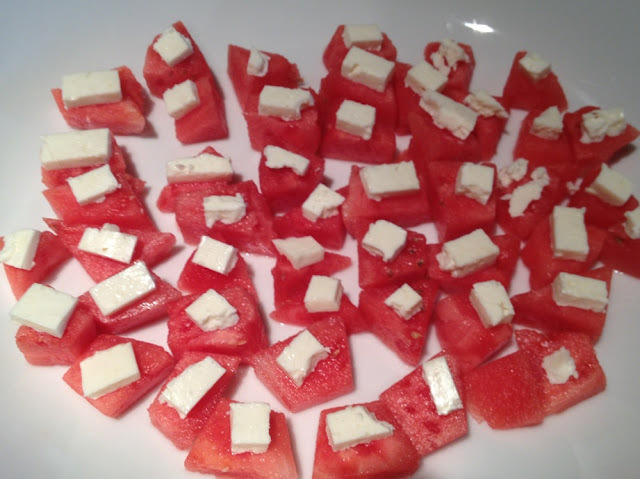 Top each watermelon cube with feta cheese. 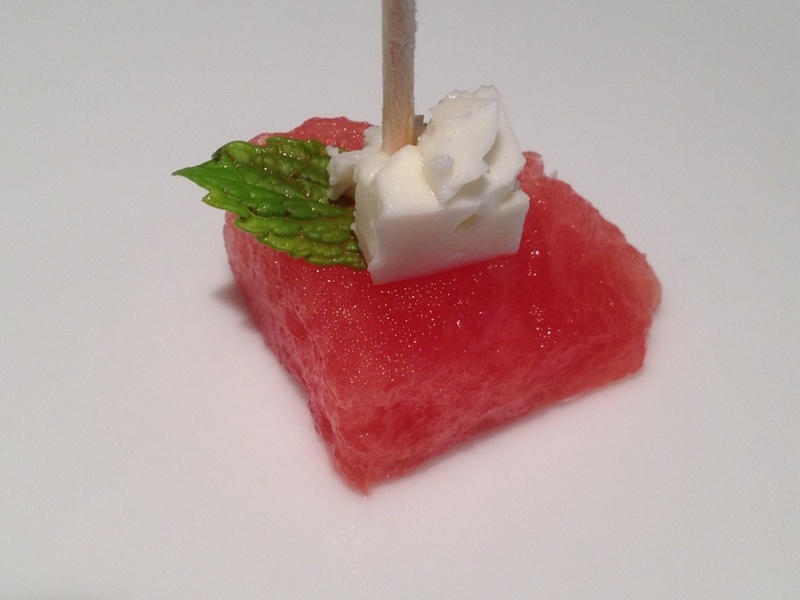 Finally, finish your appetizer off with a tiny sliver of mint and secure with a toothpick. ***You only want to use a sliver of mint (not the entire leaf) otherwise the mint will overpower the entire concoction. 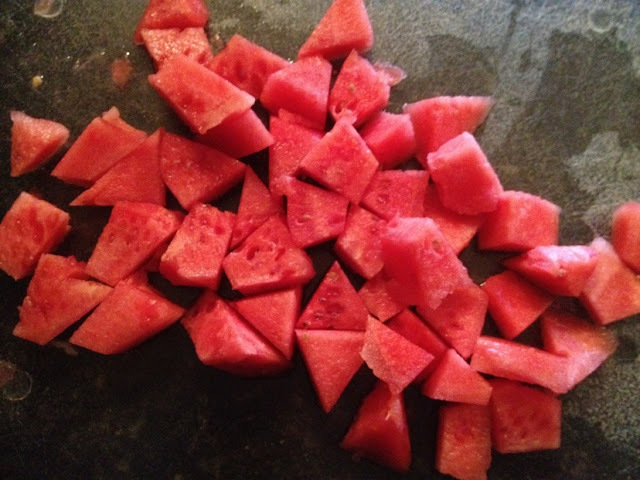 I made this mistake and had to redo everything.